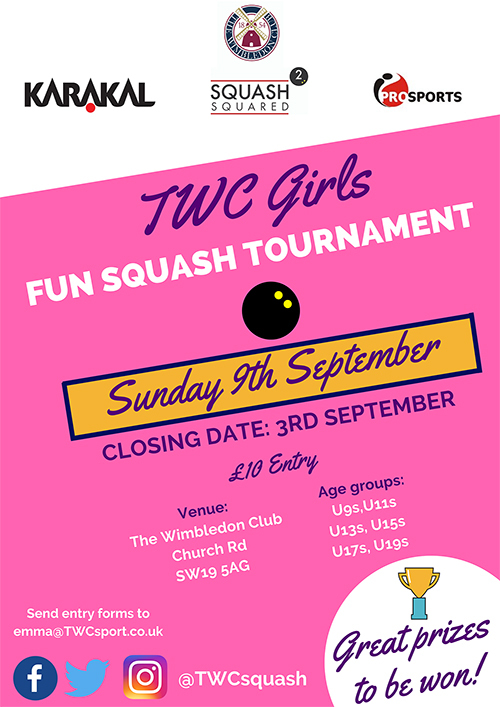 Karakal are please to sponsor Surrey's very first girls only squash tournament, TWC Girls Fun Squash Tournament. This enjoyable event takes place at The Wimbledon Club on Church Road, London on the 9th September. Entries close on 3rd September with entry form available at www.twcsport.co.uk. Come along and get into Squash!